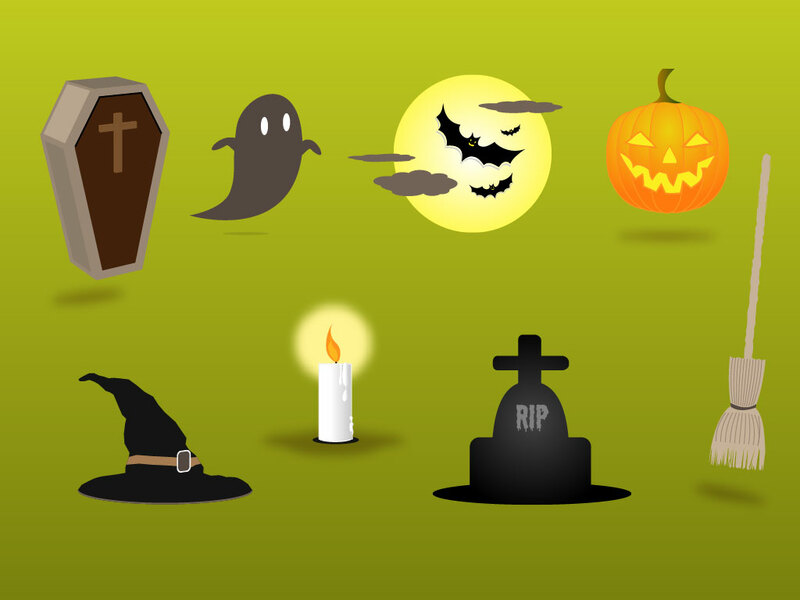 A fun set of cartoon vectors for your Halloween design projects. Features a ghost, bats, coffin, moon, hat, broom, candle and Jack O Lantern. Great for monster designs, Halloween cards and comics and seasonal marketing and promotional projects. Tags: Bats, Candle, Coffin, Halloween, Hat, Jack O Lantern, Tombstone, Witch.